Bring your bar to life! Carmen Dominique Mott is a native of Memphis, TN. Staying true to her roots, Carmen exhibits "Southern Hospitality and Charm" with every cocktail mixed. Carmen is a graduate of Whitehaven High School and received a Bachelor of Professional Studies Degree from The University of Memphis, and a Master of Art in Teaching from the University of Memphis. Although Carmen is by profession a secondary school educator, her love for entertaining, food, customer service, and planning led her in the direction of the Hospitality, Food, & Beverage Industry. Carmen received her Master of Mixology Certificate from The Crescent School of Gaming and Bartending in Robinsonville, MS. Carmen is certified in Food Safety and Sanitation through the National Restaurant Association and has done formal training with the state of Tennessee to legally pour hard liquor, wine, and serve beer. Carmen is the perfect choice for your next private event. Her experience, hospitality, charm, and professionalism will wow guests! Her perfectly made drinks will keep guests coming back for more! Mix, Shake, & Sip parties, provided exclusively by Applesauce Bartending, are great for small groups! Up to fifteen (15) party guests will have the opportunity to learn how to make awesome cocktails! Our parties are fun for birthdays, bachelorette/bachelor parties, book clubs, date night, or just to have fun with friends! What's even better is that Applesauce Bartending will come to you! Wherever your party venue, Applesauce Bartending will be there to get the party started. At Mix, Shake, and Sip parties, guests will learn how to craft four (4) themed cocktails with Certified Mixologist, Carmen D. Mott. Additionally, party guests will receive cocktail recipe cards to take home, along with a certificate of completion. Party guests will use real glassware and will have the opportunity to enjoy the cocktails made. Parties include minimal decor, one (1) snack bar theme, bottled water, plates, bowls, and napkins, plus all the materials supplies, and alcohol for cocktails. Parties typically last about 1-1.5 hours. Popcorn Bar- The Popcorn Bar includes freshly popped popcorn with three different seasonings for guests to add, shake, and enjoy! Seasonings include ranch, cheese, and butter. Chex & Gold Bar- The Chex and Gold Bar will feature two flavors of Chex Mix and traditional Goldfish Crackers. Dip ‘n’ Sip Bar- The Dip ‘n’ Sip Bar will include crispy tortilla chips with two types of dip. Dip choices include mild salsa and fresh guacamole. May replace guacamole OR salsa with roasted red pepper hummus at no additional cost. Sweets bar add on will include two types of cookies and one type of candy. A 50% non-refundable deposit is required at time of booking & signing of contract. Deposit may be made via PayPal to paypal.me/ApplesauceBartending, and contract may be signed electronically. Deposit payment and contract signing may also be done in person. All party guests must be 21 Years of age or older the day of the party. All party guests will be required to sign a liability waiver at the start of the party. Final payment due day of party, before party begins at party site; payment may be sent via PayPal to paypal.me/ApplesauceBartending, via debit or credit card (3% fee for all transactions), or by money order. Applesauce Bartending does not accept cash on site. Additionally, no checks. Want signature cocktails at your bar to enhance your event? Check out Applesauce Bartending’s Signature Cocktails! A great cocktail for weekend brunch! 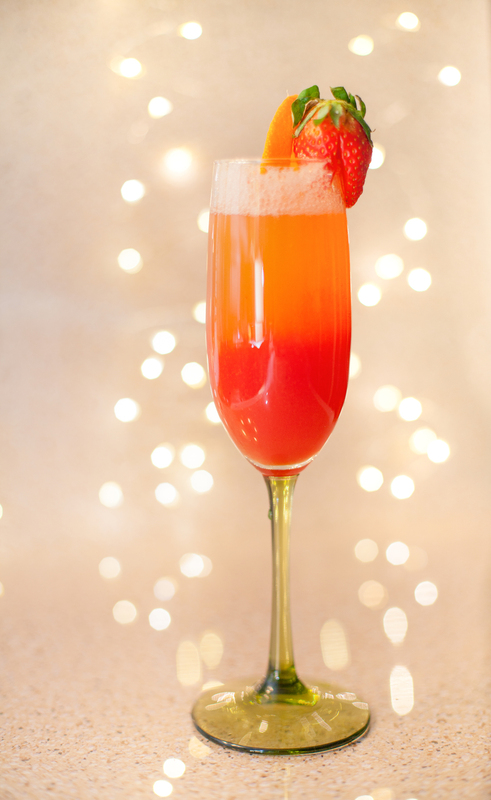 Strawberry puree blend with refreshing orange juice and crisp champagne with a strawberry garnish. For those that love bourbon whiskey with a kick of sweet & sour! Warm bourbon whiskey, Applesauce Bartending’s Housemade Sweet & Sour Mix, with an orange and cherry garnish. What’s more Memphis than a cocktail with local vodka? Pyramid brand vodka, aromatic gin, 100% Agave tequila, and distilled white rum mixed with Applesauce Bartending’s Housemade Sweet & Sour Mix, citrusy triple sec, with a splash of cola and a lemon wheel garnish. This cocktail will have you with your “feet ten feet off of Beale!” Memphis’ own Pyramid brand vodka, aromatic gin, 100% Agave tequila, and distilled white rum mixed with Applesauce Bartending’s Housemade Sweet & Sour Mix, citrusy triple sec, with a splash of lemon lime soda, a float of Blue Curacao, and a lemon wheel and cherry garnish. This classic cocktail is a great addition to weekend brunch. 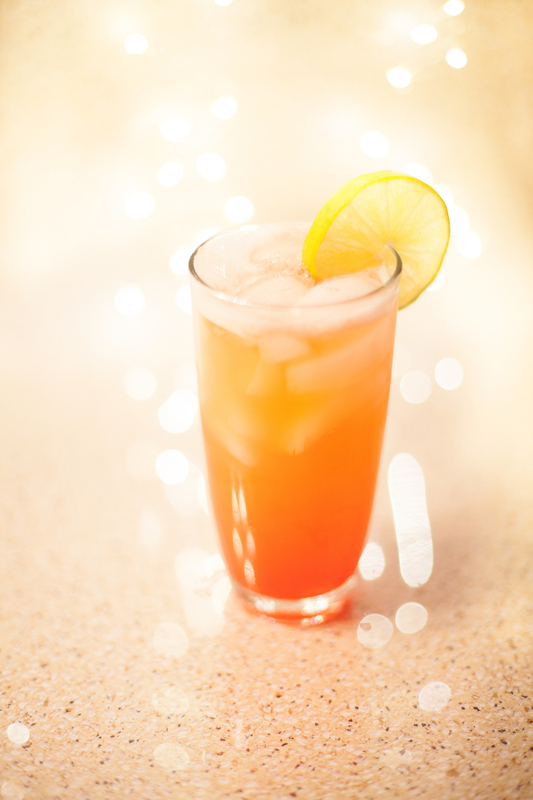 100% Agave tequila, refreshing orange juice and a float of grenadine with an orange and cherry garnish. A classic cocktail consisting of aromatic gin, fresh lemon juice, sweet simple syrup and crisp champagne with a lemon wheel garnish. What’s your New Year’s resolution? Ours involves Rum! Distilled white rum, Applesauce Bartending’s Housemade Sweet & Sour Mix, splash of refreshing orange juice, fresh lime juice, and a float of grenadine, with a lime wheel garnish. Not your grandma’s lemonade! Jack Daniel’s No.7 Tennessee Sipping Whiskey, citrusy triple sec, Applesauce Bartending’s Housemade Sweet & Sour Mix, a splash of lemon lime soda, and a lemon wheel garnish. A refreshing cooler for the spring and summer! Warm bourbon whiskey and a lemon lime soda with a lemon and lime wheel garnish. Where the Big Island meets the Bluff City! Distilled white rum, Pyramid Brand Vodka, tropical pineapple juice, Applesauce Bartending’s Housemade Sweet & Sour Mix, a float of Blue Curacao and a cherry and pineapple garnish. If you don’t see what you want, don’t worry. Applesauce Bartending specializes in creating cocktails uniquely for your special event. Provide bartender(s) and all bar tools. Provide ice buckets and beverage dispenser (if needed for batch style signature drink). Setup and breakdown of bar. Expertise to prepare traditional cocktails, pour beer and wine or help develop signature drinks for your unique event! Purchase all cups/glasses, garnishes, stirs, beverage napkins, dispensers, mixers, coolers, & ice. Transport all items to venue. Rate does not include setup and breakdown. Setup and breakdown time/cost are based on event. Host will be required to sign a payment agreement/contract at the time of booking bar service. The payment agreement will detail all services, rates, and requests that both host and Applesauce Bartending agree to. A 25% deposit of the service fee will be required to secure event date. Deposit will be due at time of booking. All deposits are non-refundable. Final payment for bar service is due the day of service. Applesauce Bartending accepts payments via PayPal, cash, debit/credit card, or by money order. Payments made via debit or credit card will be charged an additional 3% of total service fee. Please contact Applesauce Bartending for payment arrangements, meeting to discuss event details, and to sign contract. Contracts may also be signed electronically. Complete the form below if you have questions or to request a quote. Please include event date and time. Applesauce Bartending will respond within 24 business hours. Thanks!